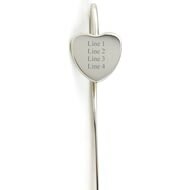 Personalise this Silver Heart Bookmark with any message- line 1 up to 12 characters, line 2 up to 10 characters, line 3 up to 8 characters and line 4 up to 5 characters. 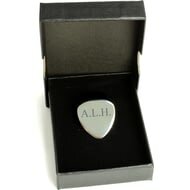 This stainless steel guitar pick gives a very loud and solid sound. 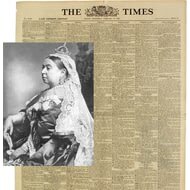 A great and unusual gift that will last many years. 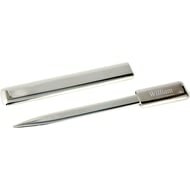 An efficient way of opening your post meaning no more fiddling with envelopes and fewer paper cuts all round. 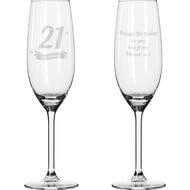 This simple yet stylish champagne flute makes the perfect way to mark a milestone Birthday for someone special. This Educational Clock is the perfect product for your little ones. 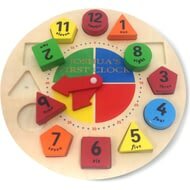 Tell the time with this clock with its movable hands and learn the numbers and colours as you go. 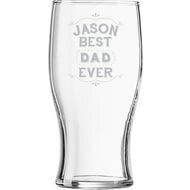 Make this Tulip Pint Glass even more special by including the recipients name. 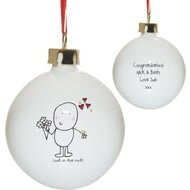 Whether its a gift for your partner, or for a couple you know they'll be sure to feel loved this Christmas. 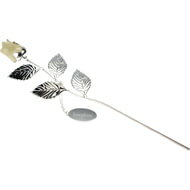 A 32cm silver plated rose with pearl coloured bud and engraved tag. 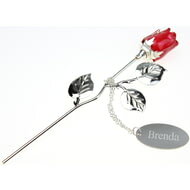 A 18cm silver plated rose with pink bud and engraved tag. 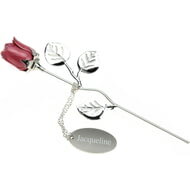 A 32cm silver plated rose with a pink bud and engraved tag. 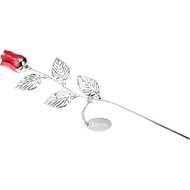 A 18cm silver plated rose with red bud and engraved tag. 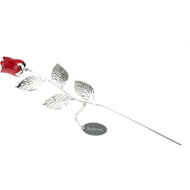 A 32cm silver plated rose with red bud and engraved tag. 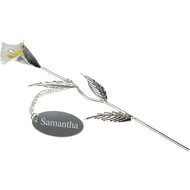 A 18cm silver plated Calla Lily with engraved tag. 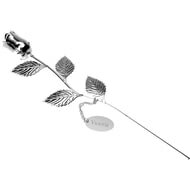 A 32cm silver plated rose with silver bud and engraved tag. 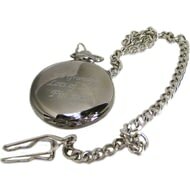 This chrome fob watch is engraved with a message of your choice. Thank you Best Man for not only being you Best man but your Best Friend too! 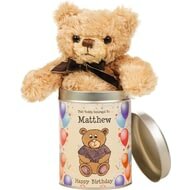 Is there an important day for a special man in your life? 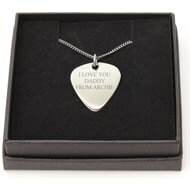 This elegant fob watch will help to commemorate the occasion and is personalised with your message for the recipient. 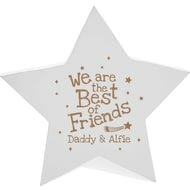 Personalise this stand alone white wooden star below the fixed text ‘We are the Best of friends’ with any names of up to 25 characters. 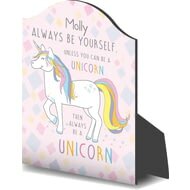 Personalise this hinged wooden storage box with any message over four lines. 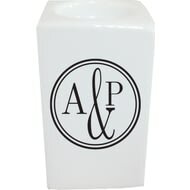 Made to match our line of crockery this tea light holder can be given as part of a set or on its own. 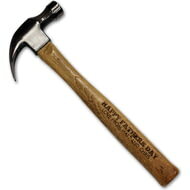 Personalise this heavy duty hammer over two lines of 25 characters. Message line 1 will appear in a bold font and message line 2 will appear in a smaller font underneath. 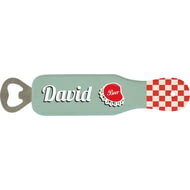 Personalise this stylish wooden bottle opener with a name of up to 15 characters. 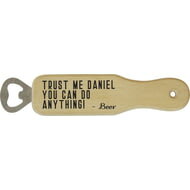 Please Note: ‘Trust me’ and ‘you can do anything! – Beer’ are fixed text. 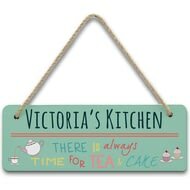 Personalise this stylish wooden bottle opener with any message over three lines of 20 characters. 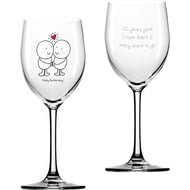 This glass can be teamed with a bottle of their favourite wine, or given on its own. 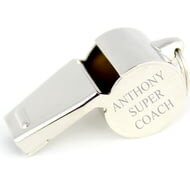 Looking for a real one-off engagement gift? 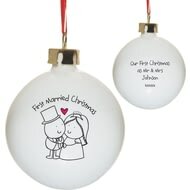 Look no further than our super sweet Chilli and Bubble Engagement Bauble! 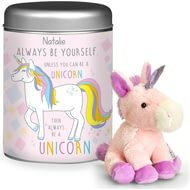 Not got a chimney for santa to come down this christmas? Problem solved! 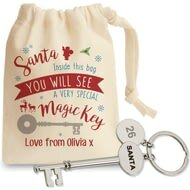 With Santa's skeleton key he can simply use the front door! 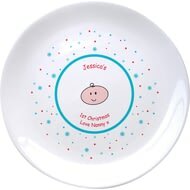 This 8" bone china plate makes a unique gift for a little one's first Christmas. 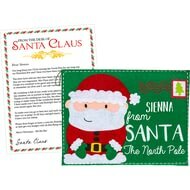 This beautiful personalised giant felt envelope and letter from Santa Claus himself, is a wonderful way to make the magic of Christmas this year. 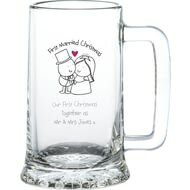 Ale aficionados, lager lovers and beer buffs will love this bespoke Christmas tankard especially since it celebrates the first Christmas they spend as a married couple.